Viv Hardwick attends the first performance of Sting's new Broadway show, based on his boyhood days in Wallsend. 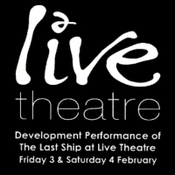 The invitation to the "development performance" of the "theatrical event" The Last Ship at Live Theatre, Newcastle, made no mention of world famous Geordie singer-songwriter Sting, who'd announced he was writing the project to celebrate his 60th birthday way back in September. So it was no surprise to find the ex-Police star meeting and greeting familiar faces as he tried out his 20-song creation on an audience of invited guests on Friday night. It was a complete surprise to his New York co-producers who discovered that the man once known as Gordon Sumner wanted to test out his creation - with a book by Broadway musical genius Brian Yorkey - back in his home city. "Brian is from Seattle and we're collaborating with Joe Mantello (director) from Chicago and we're in New York. So Sting says he wants to do this in Newcastle and we all look at him as if he's a bit odd," says Jeffrey Stellar, who describes what we are about to see as "a musical in uterus". The creative team thought they were working on a Broadway show, but Sting's work based on his own experiences of growing up next to the Wallsend shipyards was crying out for Geordie input. And where better than Newcastle Quayside-based Live Theatre, which has already launched Billy Elliot and The Pitman Painters to international acclaim. Even so, surprise number three is the bearded and baggy-eyed presence of Jimmy Nail leading out the talented group of actors and musicans - including Kathryn Tickell plus father Mike and brother Peter. If success is Nail-ed on, then the actor who has sung alongside Madonna in Evita must be a front-runner for The Last Ship. While Sting and his creative team feel the production is still in "its fourth month of gestation" in birth terms, there is still plenty of information being pumped out on the internet. For a start, Sting has indicated that work from his 1991 album 'The Soul Cages' would be a feature - this marking the death of his father, Ernest, which is a recurring theme in The Last Ship. But one song from 1993 album 'Ten Summoner's Tales' currently plays an important part. The plot has anti-hero Gideon returning to Wallsend, after running away to sea 14 years earlier, to find the shipyards on the point of closure and his father dead. The Eighties-set tale tells of shipbuilders opting to finish a ship in an abandoned yard and sailing off around the world. The fascination for the onlooker is the sight of Sting sitting on the end of a row and watching others occupying his normal position in the spotlight on stage, singing his songs and, in two cases - Declan Bennett and Hal Fowler - adopting the fast-paced, tight-lipped Sting singing style. A week-long visit, allied to Sting's visit to The Sage Gateshead on Sunday night, led to two public script-in-hand performances at Live where audiences were encouraged to provide feedback and questions about The Last Ship. 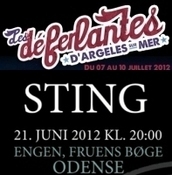 With any maritime-themed production the risk is that you end up with "Sting's musical sinks without trace" verdicts from the critics. I don't think it's giving too much away to reveal, just like the script-in-hand reading of Billy Elliot, the verdict on Friday night was a standing ovation. I was lucky enough to be able to congratulate Sting on departure. Let's hope that another tribute to the betrayed heavy industry of the North-East slides successfully down the slipway. The destination, sadly, is still Broadway. For now, Jeffrey Stellar, describes the situation as looking at a pre-natal scan. "Let's see if it has five fingers and five toes... and let's see if it has a heart".